Genting Singapore reported net profit for the third quarter rose 25 percent on-year to S$210.41 million amid a strong performance in its attractions business. Revenue for the quarter ended 30 September rose 1 percent on-year to S$639.06 million, it said in a filing to SGX after the market close on Thursday. For the Singapore integrated resorts, gaming revenue slipped 1 percent on-year in the quarter to S$445.36 million, while non-gaming revenue grew 9 percent on-year to S$192.84 million, it said. The hotel business had an average occupancy of over 97 percent in the quarter, it said. “Our mass gaming business delivered stable performance. Our VIP rolling volume continued to grow, and we remain prudent in our credit extension,” Genting Singapore said. Other operating expenses for the quarter fell 97 percent on-year to S$1.16 million from S$39.93 million in the year-ago quarter, Genting Singapore said. For the nine-month period, revenue rose 3 percent on-year to S$1.87 billion, while net profit rose 10 percent on-year to S$605.22 million, it said. In its outlook, Genting Singapore pointed to its gourmet lifestyle events as continuing to attract visitors. “We will continue to pursue distinctive and iconic offerings to cement our position as Asia’s premier lifestyle destination,” it said. Analysts have pointed to concerns that the ongoing U.S. trade war could tighten credit to VIPs in the export trade, making it more difficult for them to repay gambling debts. 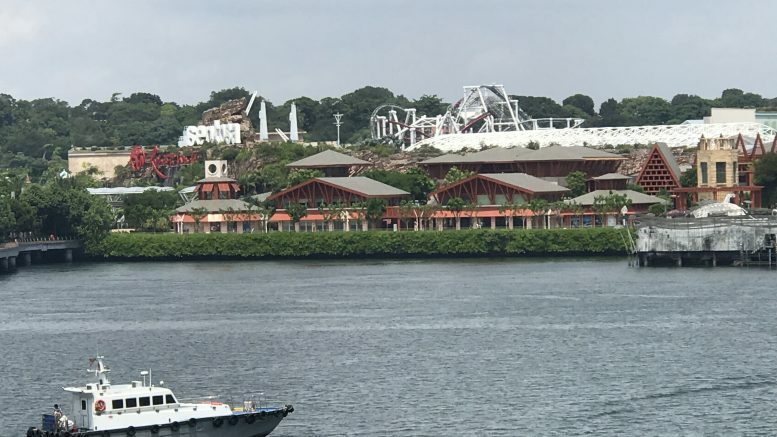 It added that it was fielding requests for information, views and comments from “specific cities” which have shown interest in obtaining an integrated resort. “Concurrently, we have also engaged in discussions with stakeholders to understand the environment and the localities where such cities are involved,” it said. Analysts have pointed to Genting Singapore as a strong contender to win an IR bid in Japan as it can meet liquidity requirements and, along with Las Vegas Sands, would be the only potential candidates which have previously successfully developed an IR as an accepted tourist destination.